Therapeutic antibodies can work through various mechanisms of action. 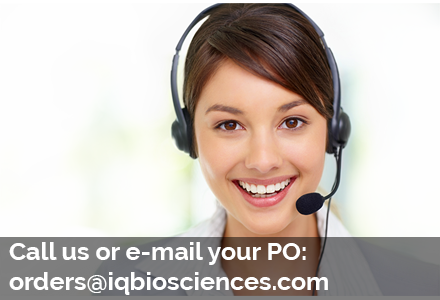 They can inhibit ligand-independent dimerization to prevent downstream survival and proliferation signaling pathways or induce apoptosis of target cells. In addition, therapeutic antibodies can activate the immune system to drive antibody-dependent cellular cytotoxicity (ADCC) or complement-dependent cytotoxicity (CDC) to eliminate aberrant cells. However, one lesser known mechanism mediated by the immune system that is also driven by these antibodies is antibody-dependent cellular phagocytosis (ADCP). 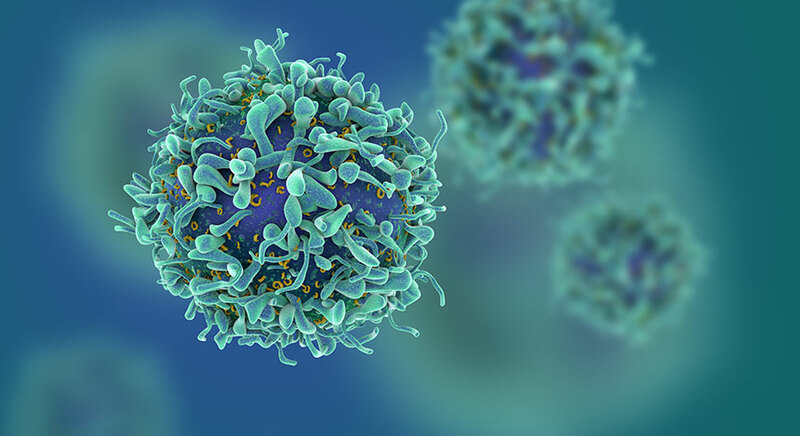 In this blog, we will introduce ADCP and discuss the data that supports its role in the anti-tumoral effects of therapeutic antibodies. 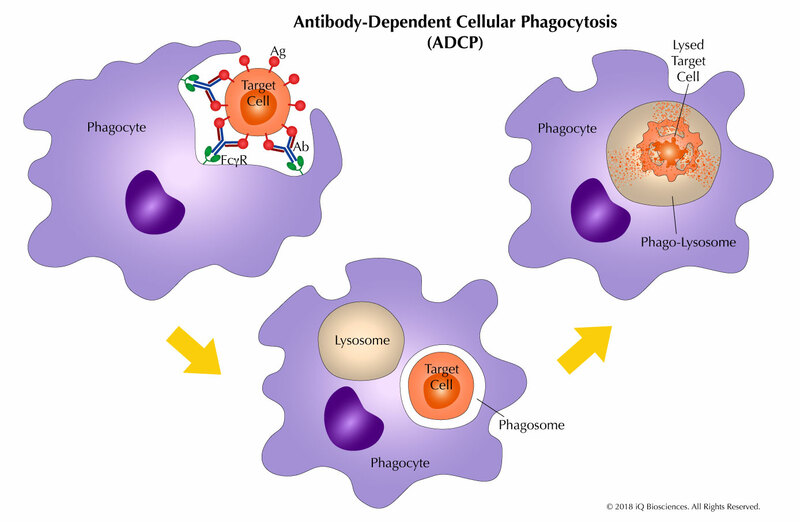 What is antibody-dependent cellular phagocytosis (ADCP)? 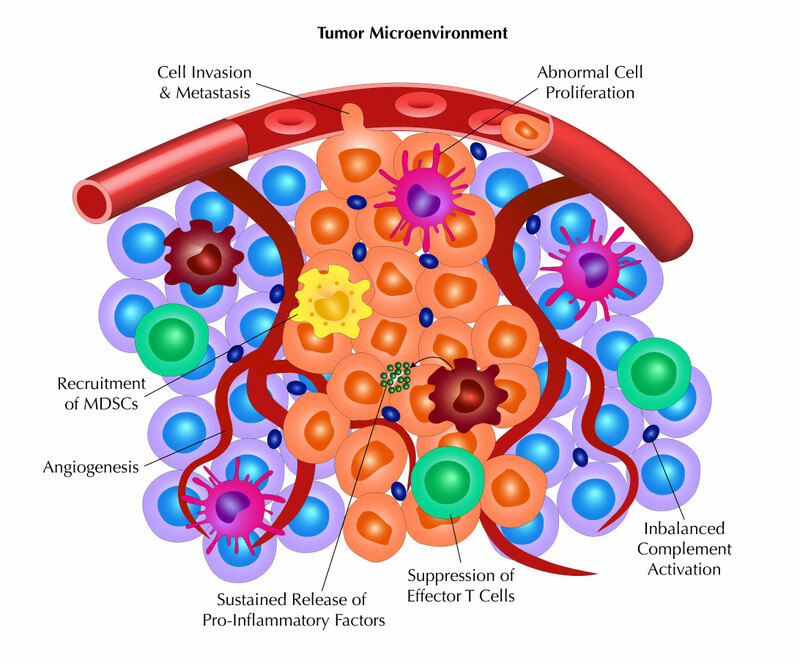 ADCP is essentially the ingestion and digestion of tumor or target cells by phagocytic cells. Here, antibodies mark the target cells by binding their cognate antigen on the cell surface in a process called opsonization. 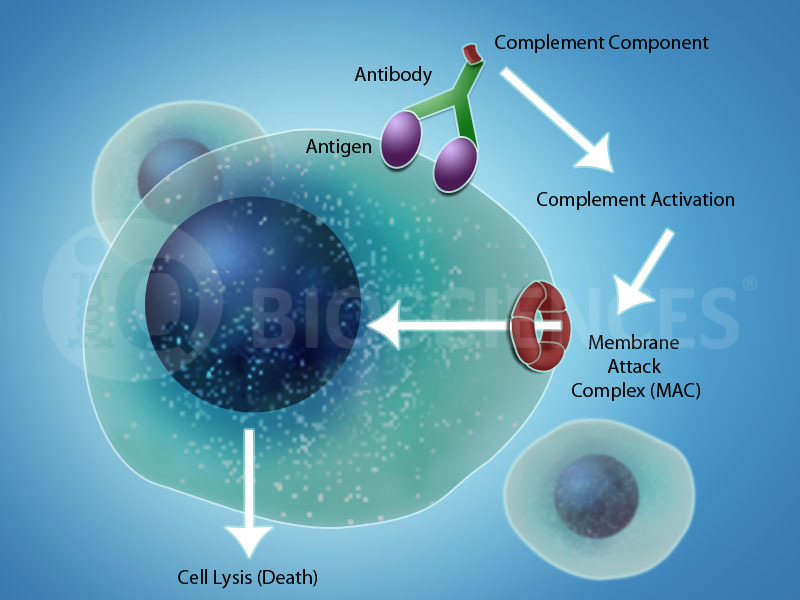 The Fc portion of the antibody then recruits phagocytic cells, such as monocytes, macrophages, and neutrophils, to the target through binding of their Fc receptors, which leads to ingestion of the target. Once in the phagocytic cell, the target cell resides in a phagosome, which fuses with a lysosome to generate a phago-lysosome. This newly formed phago-lysosome has a low pH environment and cytolytic enzymes to promote the degradation of the target. ADCP is driven by antibodies and Fc receptors. 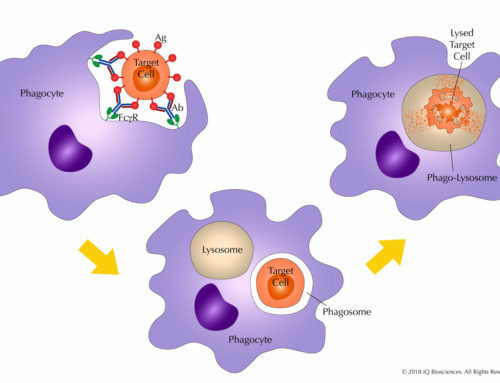 Without antibody-opsonization, the target cells are not marked, and phagocytic cells will not be able to identify the target cells through their Fc receptors. On the other hand, without Fc receptors, the antibody-decorated target cell can not be targeted by phagocytic cells. What is the data that suggests ADCP is a mechanism of action for therapeutic antibodies? Much of the evidence that suggests ADCP is a mechanism of action for anti-CD20 antibody in lymphoma treatment comes from studies in mice. CD20 therapeutic antibodies work by depleting B cells in diseased patients, and the factors responsible for this depletion were evaluated in in vivo mouse experiments. First, experiments were performed to determine if B cell depletion was Fc receptor-dependent. Here, CD20 antibody administration into wild-type mice led to depletion of B cells. However, B cell depletion was attenuated in mice lacking the common Fc gamma chain. Since the common gamma chain is required for Fc receptor function, these data suggest that Fc receptors are required for antibody-mediated B cell depletion. Second, to test if Fc receptor bearing macrophages were responsible for the depletion, mice were rendered macrophage-deficient with liposome-encapsulated clondronate treatment. After administration of the antibodies in macrophage-deficient mice, circulating B cells were not depleted, indicating that macrophages were responsible for B cell depletion. Furthermore, lack of B cell loss in perforin-deficient mice, which have effectorless T and NK cells, suggests that macrophages were the main cell-type responsible for B cell depletion. Together, this study demonstrated that therapeutic antibodies drive macrophage-mediated ADCP through Fc receptors to eliminate B cells. 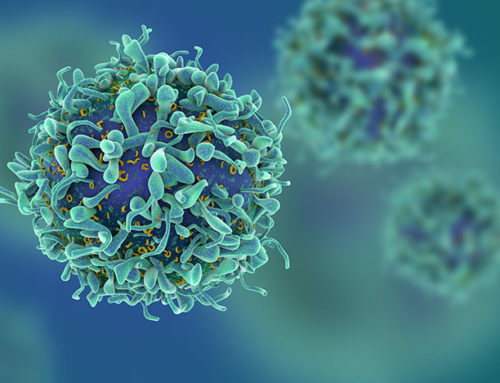 The previous study was extended into a disease setting by transplanting lymphomas into wild-type mice and demonstrating that ADCP by macrophages were responsible for B cell depletion. In these experiments, macrophage-deficient mice that received lymphoma cells were unable to eliminate them with anti-CD20 antibodies, while mice with macrophages could. 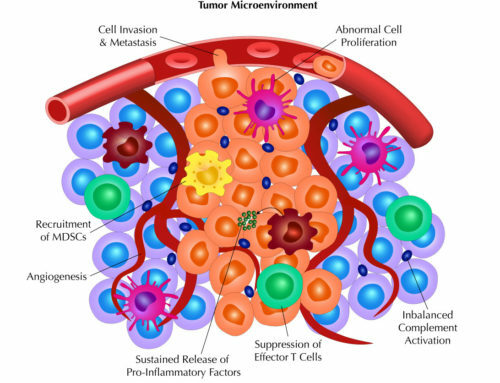 These results further support the hypothesis that ADCP driven by phagocytic cells is a mechanism for elimination of tumor cells. Finally, ADCP was also observed with Kuppfer cells, phagocytic cells that circulate in the liver. Using intravital imaging, Kuppfer cells were observed to engulf B cells, as well as lymphoma cells, in the presence of anti-CD20 antibodies. Together, these studies illustrate that ADCP is a mechanism of action for monoclonal CD20 therapeutic antibodies in vivo. In our next blog, we will discuss factors that can influence ADCP, such as the Fc receptors involved, the polymorphisms of some Fc receptors, and the glycosylation state of the antibodies.